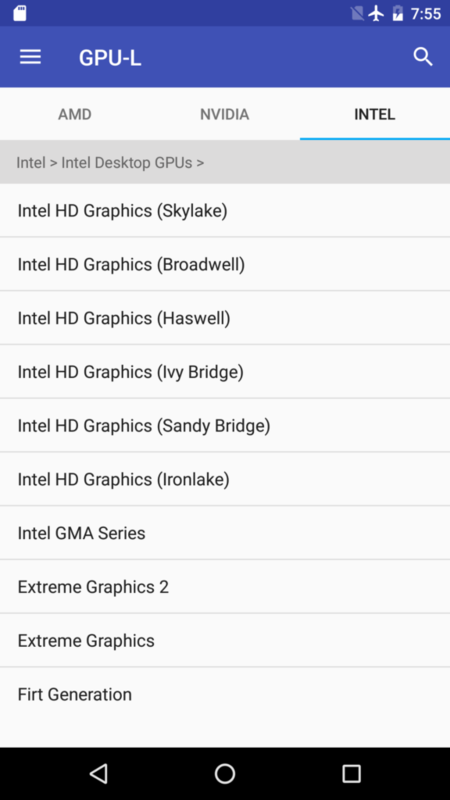 GPU-L offered all the specifications of NVIDIA and AMD GPUs, but not Intel GPUs, so in the 1.3.0 update we have added all Intel GPUs with all their specifications. 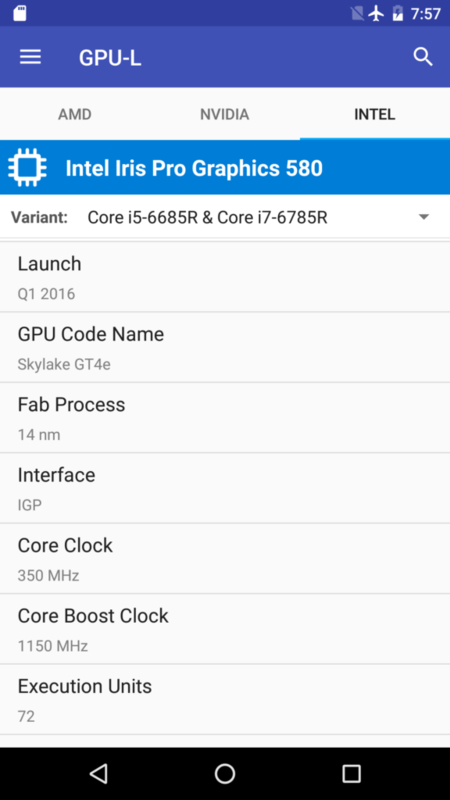 Now you can consult from the first Intel GPU, the i740, to the latest, the Intel HD Graphics 620 (Kaby Lake). In addition, we have fixed several bugs that affected the application and caused a malfunction in the application.